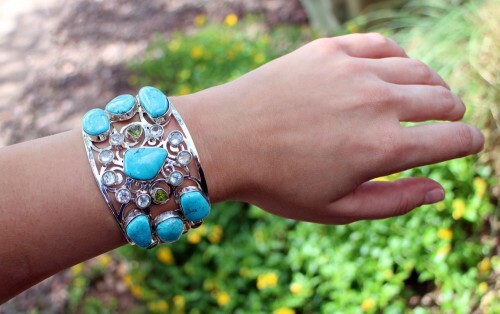 THIS BRACELET IS TRULY AMAZING AND WILL NOT LAST LONG AT THIS AMAZING PRICE! 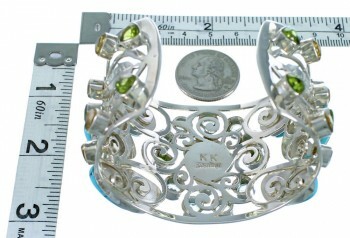 The inner bracelet circumference measures approximately 5-3/4", plus a 1-1/8" opening, 1-7/8" at widest point, and weighs 86 grams. 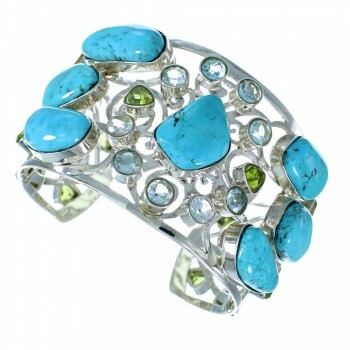 Check out this delightful bracelet! This bracelet is a gorgeous piece of jewelry that is hand crafted out of genuine sterling silver and real Multicolor stones. 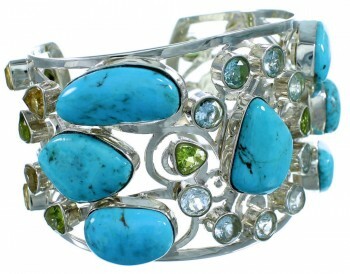 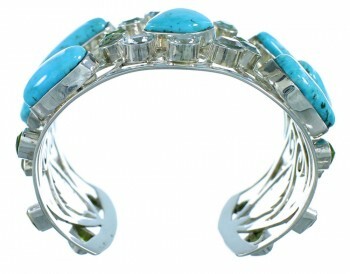 The bracelet consists of: Peridot, Turquoise, Citrine, and Blue Topaz. The bracelet has a total of THIRTY-FOUR stones that are delicately set in silver bezel settings to create this dazzling combination. 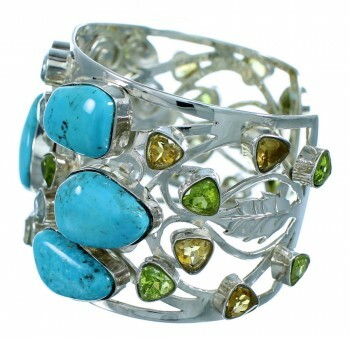 Intricate hand cut designs and imprinted leaf patterns can be seen accenting and completing the bracelet perfectly. The bracelet is stamped sterling and hallmarked.